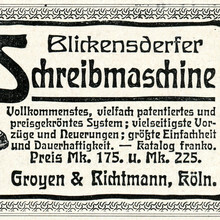 Designed by Albert Knab for Schelter & Giesecke in 1901 with a schmalfett (bold condensed) following in 1904. [Reichardt] Larger sizes also made in wood. Revived by HiH in 2007.